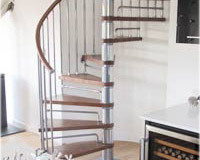 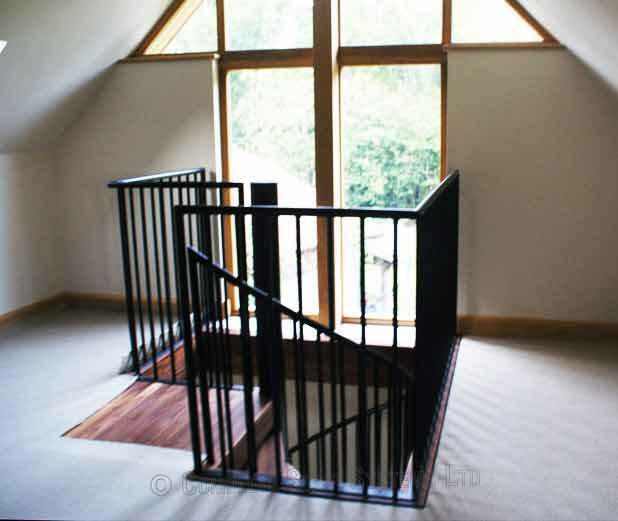 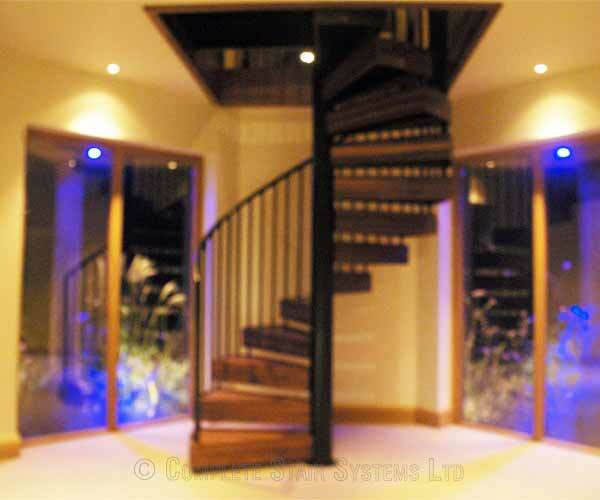 The final part of our client’s refurbishment required a stylish spiral staircase to provide access to a bedroom. 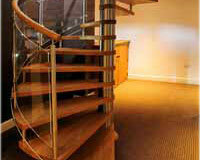 The spiral was perfectly placed centrally in the room in front of two large windows creating a real focal point. 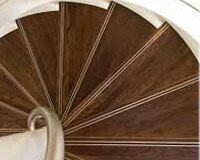 It was actually the daughter of the household that picked many of the materials. 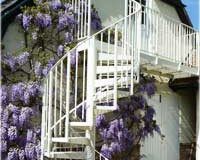 She had seen a picture on our website which she loved and that was the way we went. 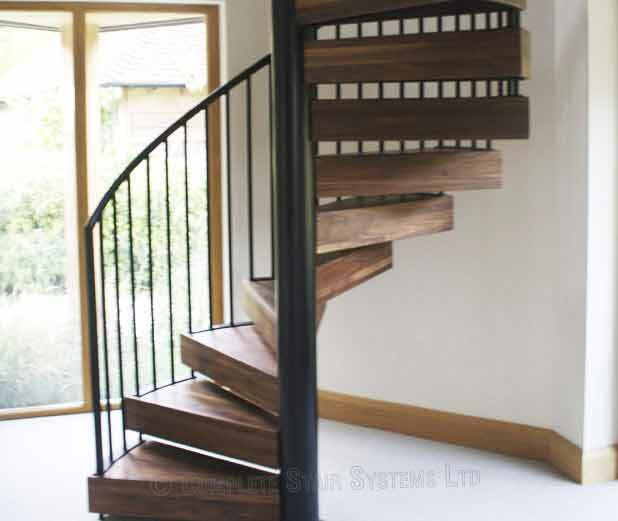 The specification involved solid walnut treads in a boxed shaped to appear chunky. 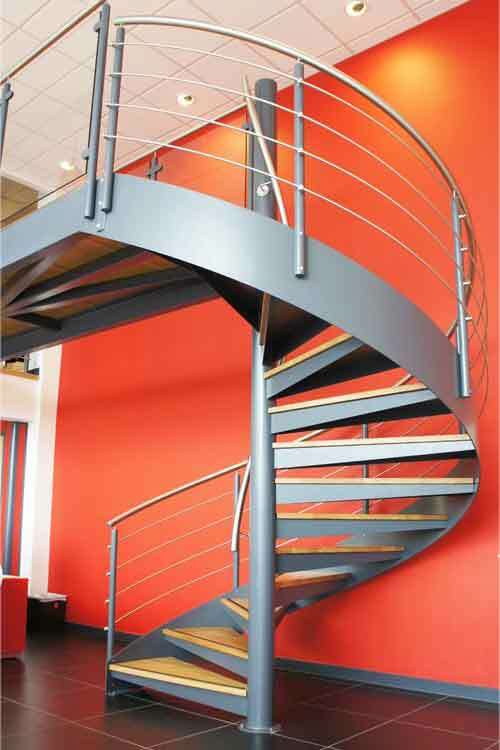 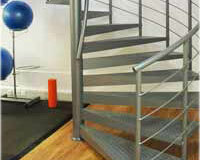 We added powder coated steel spindles to the perimeter of the spiral staircase and around the opening upstairs. 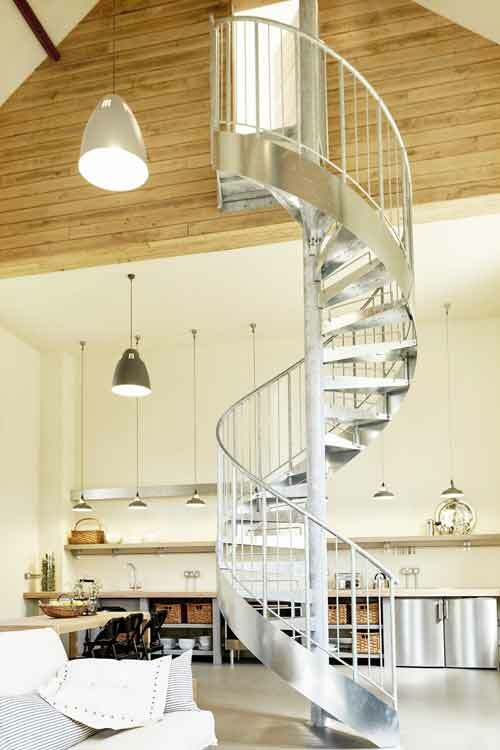 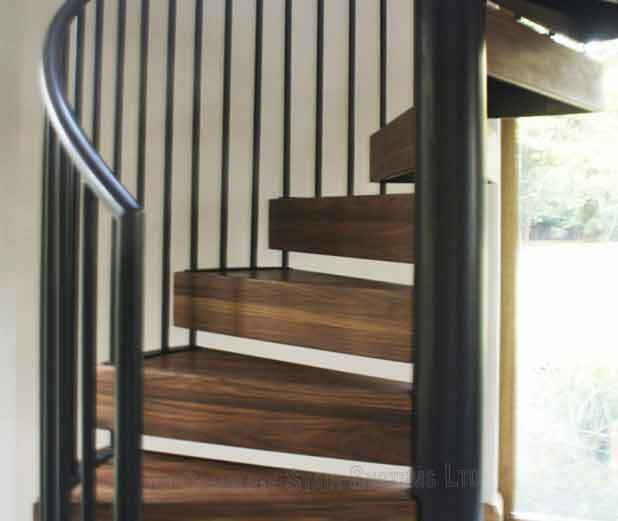 The steelwork on the spiral staircase was powder coated black. 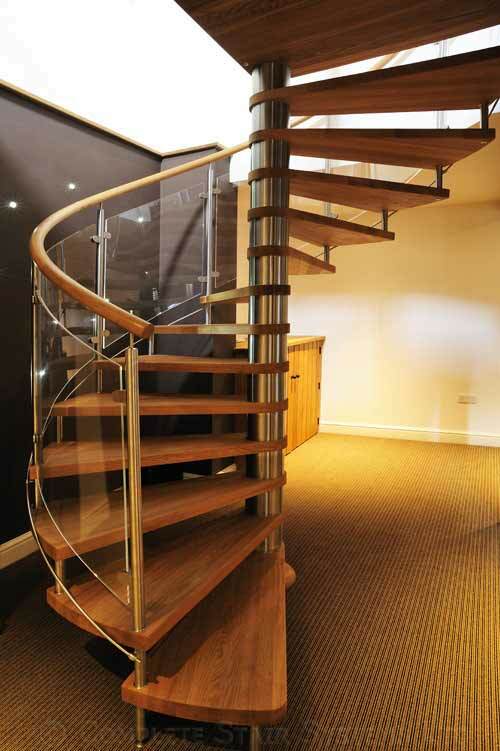 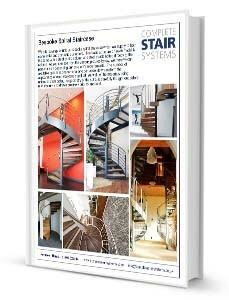 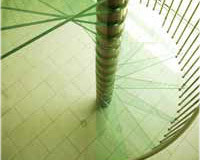 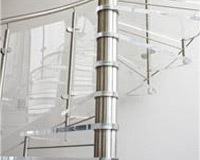 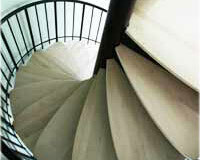 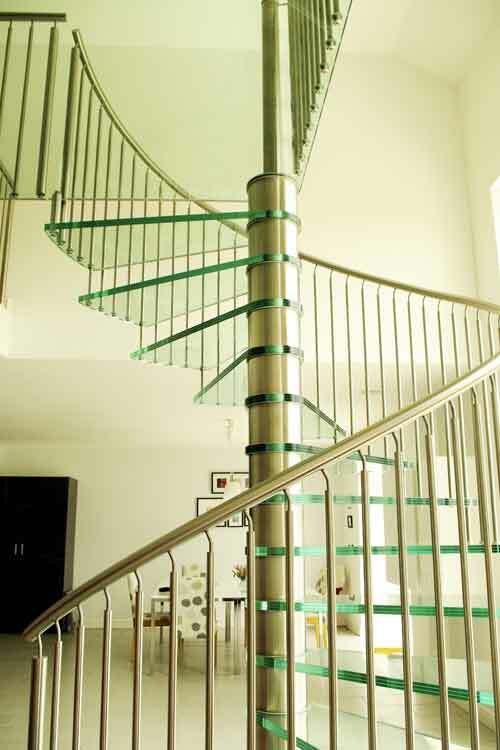 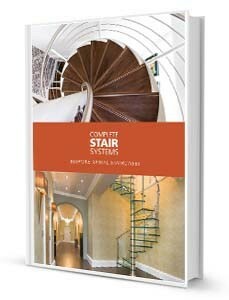 If you would like a price for this project ‘Spiral Staircase Chichester’, please fill out the form below.